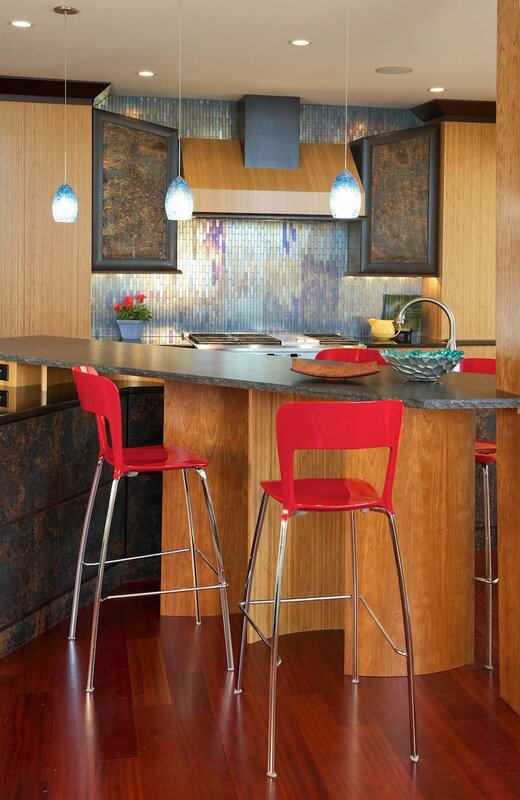 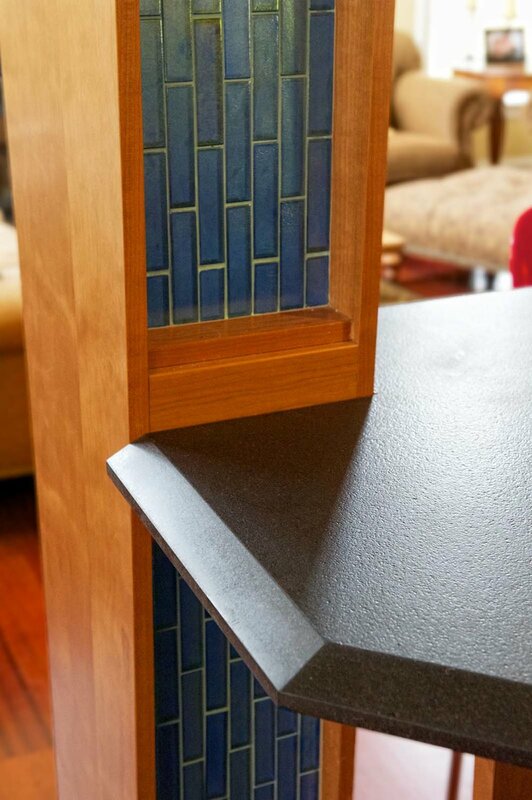 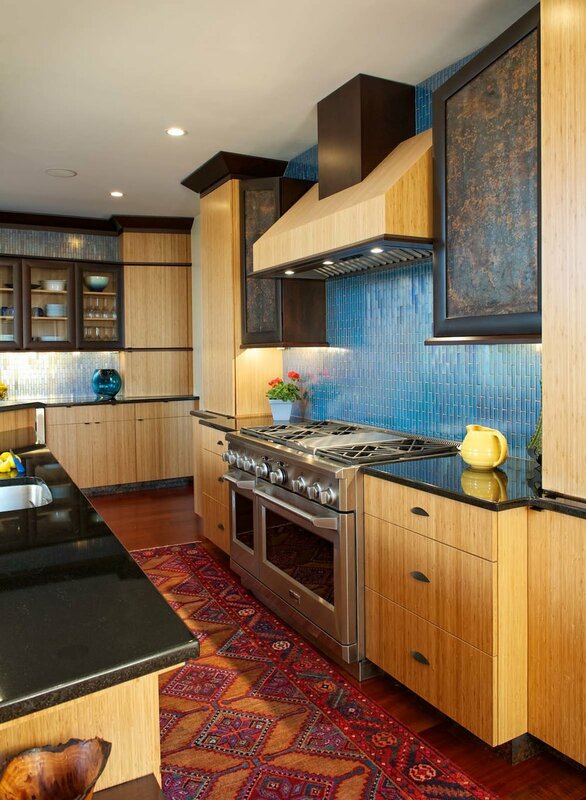 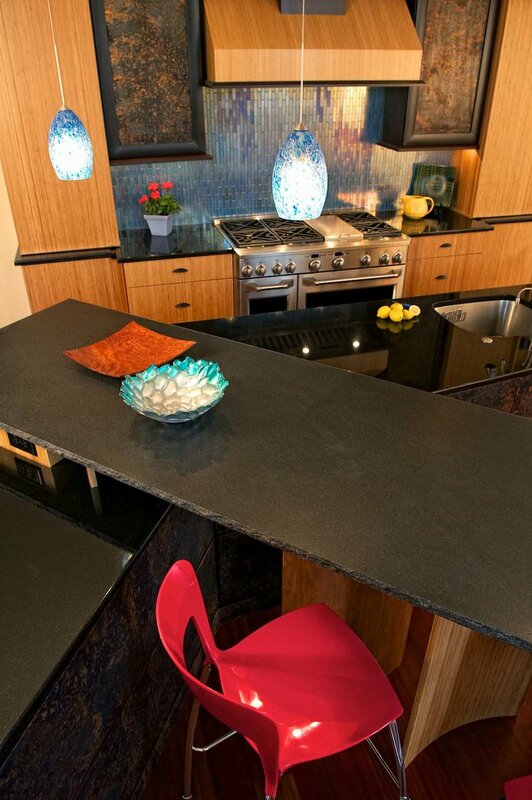 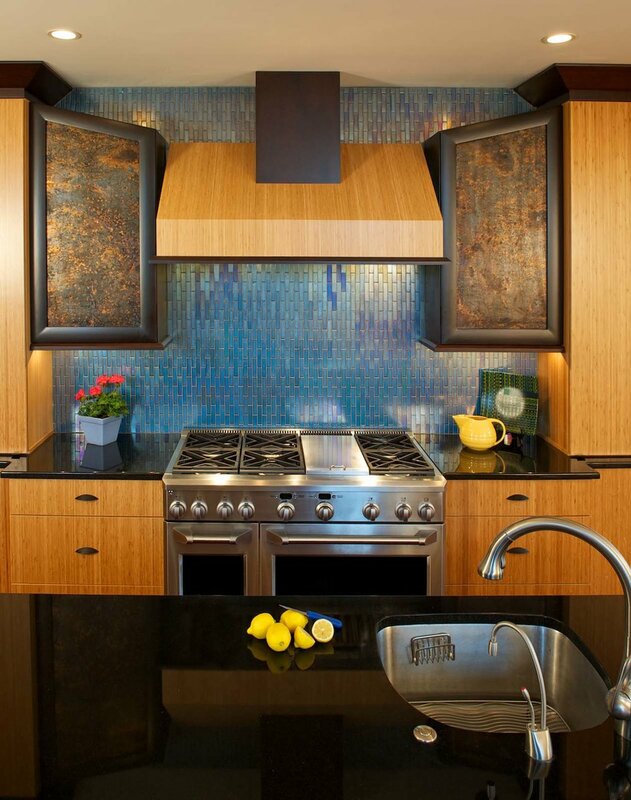 Designed in collaboration with interior designer Susan Gracki, this 300-square-foot Asian-influenced kitchen in Collegeville, Pennsylvania combines bamboo cabinets with dark-trimmed copper accent panels and an iridescent blue glass backsplash to create a space that is at once striking and calming. 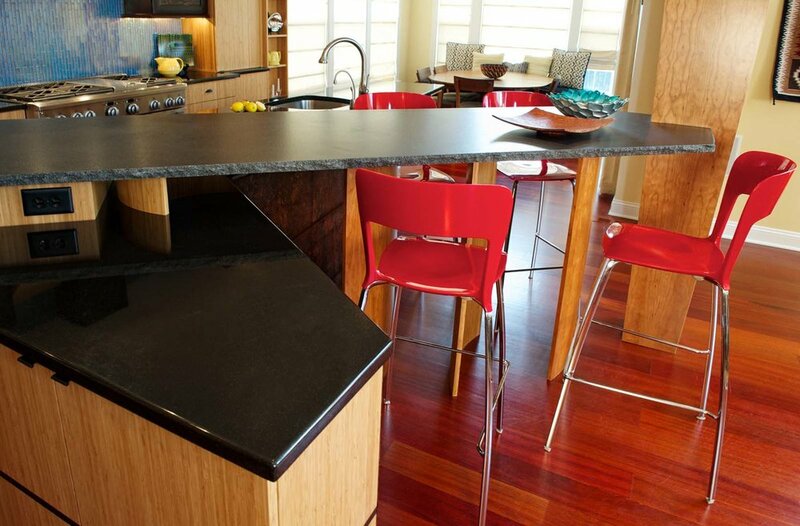 Per the clients’ request, the island is irregularly shaped for dramatic impact, features Absolute Black granite tops in a leathered and a polished finish and incorporates a tapering column to conceal plumbing from the bathroom above. 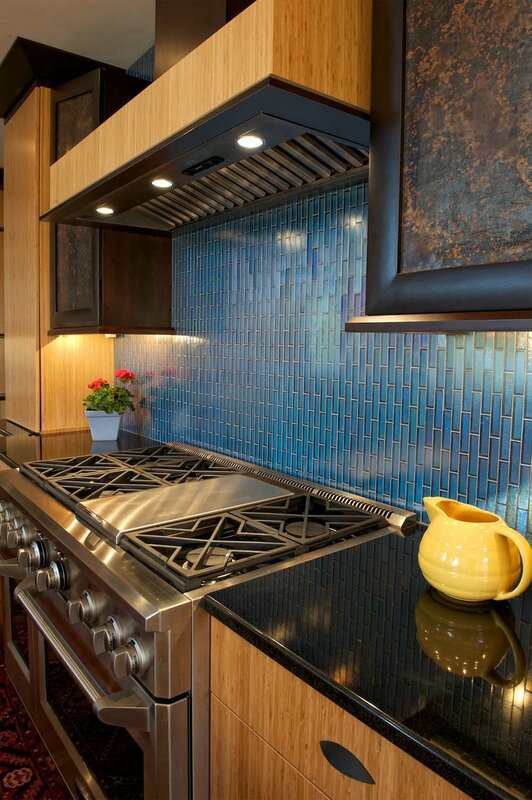 Appliances by Jenn-Air ensure optimal functionality.